I’ve been thinking a lot about apples lately. For the Northeast and Atlantic Environmental History Forum Environmental History Workshopin October, I’m working on a piece about Grand Pré, Nova Scotia. It was named a UNESCO World Heritage Site a few weeks ago, as “exceptional testimony to a traditional farming settlement created in the seventeenth century by the Acadians in a coastal zone with tides that are among the highest in the world.” The pré was created when Acadian settlers built a low-tech but effective system of dykes and aboiteaux to drain the salt marshes along the Bay of Fundy into arable and richly fertile land. Grand Pré has also been the symbolic centre for the Acadian derangement of 1755 – their dispersal by the British in advance of the Seven Years’ War, at just about this time of year, too: a lieux de memoire for Acadians and a (mythic) site for tourists seeking the romance of Henry Longfellow’s 1847 poem Evangeline. The UNESCO designation encompasses the full pré (about 1300 acres), including Hortonville, a late-18th century town grid aimed at American Planters. But the focus is entirely on the longevity of the 17th-century pré, created by Acadian settlers and maintained by “their modern successors.” There are certainly interesting continuities: from the use of the pré for hay and pasture to the maintenance of the drainage system by a community-run marsh body. It’s also politically useful for the Acadian cause to associate their historic claim to the area with good environmental stewardship. But Grand Pré is the gateway to the Annapolis Valley, Nova Scotia’s agricultural heartland. (Which may not be saying much, in a province with only 8% of its land in agriculture, but that also makes the Valley all the more special here.) 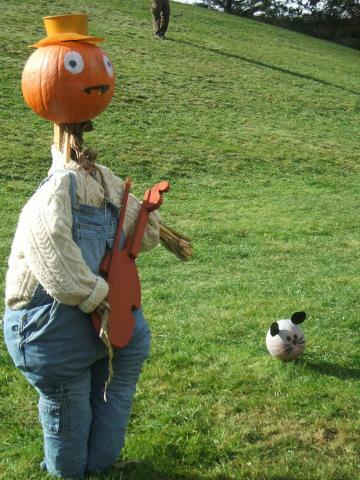 It’s home to the Apple Blossom Festival in May and the Pumpkin People (don’t ask) in October, to winery tours in the summer and pick-your-own orchards in the fall. It’s where Haligonians like me head for our “drive-in-the-country” day, to rhapsodize over the prettiness of the Valley and collect a trunkful of fruits and vegetables – as tourists have been doing for over a century. 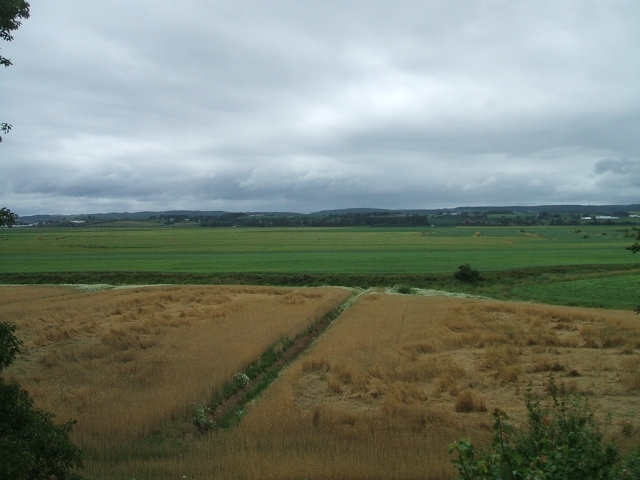 Even with a growing interest in organic agriculture, terroir, and more sustainable practices among fruit and dairy farmers in the Valley, most of these 19th-century frameworks for industrial agriculture remain in place, and none of them are as innocuous as either the image of Acadians’ preindustrial, collectivist farming or the urbanite’s windshield view of a bucolic orchard. Even my Nova Scotian students tend to see Grand Pré as evidence of a once and future golden age, a wooden-shoe-light-footprint of sustainability. By emphasizing the direct lineage between 17th-century and current practice, the UNESCO designation permits us to vault over two centuries of more intensive, more integrated, and more directly relevant land use. This encourages us to romanticize the agricultural industry, and it’s this romantic view that has increased urban pressure on the area. The dykes are remarkable, but their maintenance allows not just for farmland but for highways across the marshes. It’s entirely understandable – and sometimes required – that the process of historic designation select and prioritize one era of significance. But environmental history doesn’t always work that way. (I got into trouble with the mayor of Lunenburg a few years ago when I wrote that the town’s UNESCO designation was for a different century and phenomenon – the 18th-century British model town – than that of Lunenburg’s very successful tourist image based on the Bluenose and late Victorian seafaring.) Certainly the pré itself is an important link to the territory of Acadie, and a valuable artefact of early modern Atlantic coastal land use. It’s also a really powerful statement of constructed nature – and a terrific teaching tool. But no pré is an island.
. William D. Lawrence, Nomination Day speech, 1863, in William D. Lawrence: Nova Scotia Shipbuilder & Anti-Confederation Campaginer, The Complete Archived and Annotated Writings (Kennetcook, NS: Heroes of Hants County Association, 2010) 205.